Tantalizingly specific rumors about the Playstation 4 and Xbox 720 have begun to circulate in anticipation of this year's E3 video game conference, scheduled for June. Before you get too excited, no, that isn't a real PS4 up there. It's an artist's mock-up. The real PS4 probably won't look anything like that, but hey--we can dream, right? Though neither Sony nor Microsoft has confirmed a next-gen unveiling at E3, both have hinted that they're planning "big announcements" for the event. GamesRadar reported that Sony's vice president hinted at a PS4 reveal in a recent interview, and Xbox's programming director posted a countdown to E3 on his blog that could mean an Xbox 720 launch, according to Gameplanet. The pressure is on both companies to deliver, with gamers clamoring for eighth-generation consoles despite a rumored pricetag of around $400 for both machines. Hardly surprising. Sony and Microsoft own console gaming, and that doesn't seem likely to change anytime soon. Since the Xbox 360 release in 2005, and the launch of the PS3 in 2006, both consoles have sold over 70 million units worldwide. Let's take a look at some of the rumored specs of the PS4 and Xbox 720. 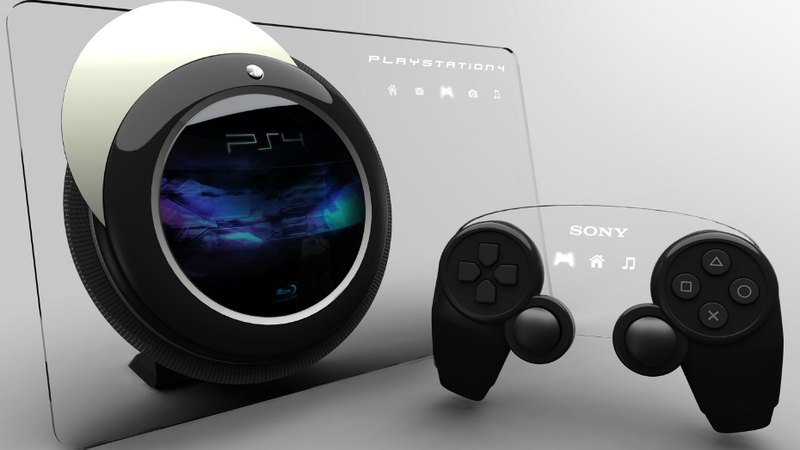 Playstation 4 -- Codename "Orbis" or "Thebes"
Wow, that's impressive! But all that pizzazz comes at a price. A lot of fans are worried by rumors that the PS4 won't allow backward compatibility, meaning gamers won't be able to play their old Playstation or PS2 games on the new console, though PS3 games may still be safe. This alarming news comes right after Sony's announcement that the company has halted production of the PS2 in Japan. Once existing stock is sold out, gamers looking to buy the popular game console will be out of luck. Xbox 720 -- Codename "Durango" or "Kryptos"
Though the rumored specs suggest that the Xbox 720 falls short of the PS4 in terms of computational oomph, it features significantly more RAM than the PS4. The new Xbox supposedly has 8GB of RAM, with 3GB reserved for the operating system, apps and security. That leaves around 5GB free for games. The PS4 comes with only 4GB of RAM total, rumors suggest, with 1GB for the OS and security, and around 3GB for games. The Xbox 720 will reportedly run on the Radeon HD 8770 GPU. Both the PS4 and the Xbox 720 will play 100Gb Blu-ray disks. Clearly console gamers have a lot to look forward to in 2013, if any of these rumors prove to be true, but one thing no one can seem to agree upon is whether the big reveal will come in March, May, June, or November. Sony and Microsoft are sure to keep us guessing right up until the launch, while behind closed doors both companies vie to outdo one other.